With the beginning of the new summer season, we are glad to announce our two exhibitions curated by Naim Avigdor Güleryüz. Higlights from Rabbi Nisim Behar's life. September 17, 2008 - January 11, 2009 Under the auspices of the Ministery of Culture, we participated in this fair and exhibited objects from our collection at the Jewish Museum of Frankfurt. 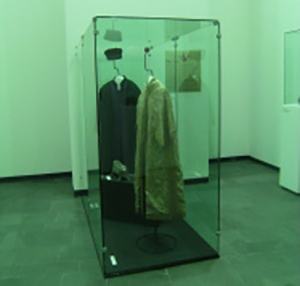 An exhibition, "Highlights from Aron Angel’s Life", took place from September 7 2008 until December 12th 2008. The first town planner of Turkey, Aron Angel (born 1916) is still an active member of the community. We participated in the photography exhibition organised by the "Centro de Estudios Judaicos" of the Chile University. 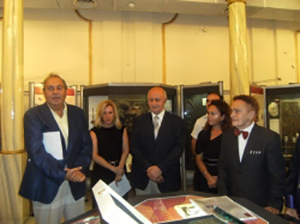 Naim Güleryüz presented a lecture on "Jewish Life in Istanbul" at the opening of the exhibition. A briefing was given by Naim Güleryüz to 35 students who visited the Museum with Prof Amy Singer of the Tel Aviv University and who were studying the topic "The Seven Centuries Old Jewish Saga in the Ottoman Empire and Turkish Republic". Briefing of Tourist Guides of Istanbul Detailed information was given to the tourist guides of the city in order to update them about our Museum and Jewish Life in Turkey. A large number of guides attended this three-hour seminar. 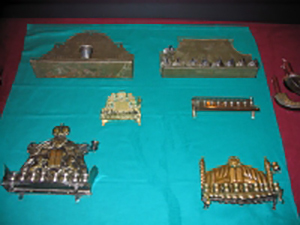 On the occasion of the Hanukkah Holidays an exhibition was organised exhibiting all donated and lent Hanukkiahs present in our Museum. 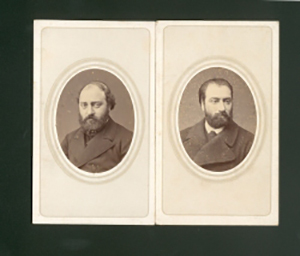 The Camondo Family was an influential Jewish family who lived for centuries in Istanbul. 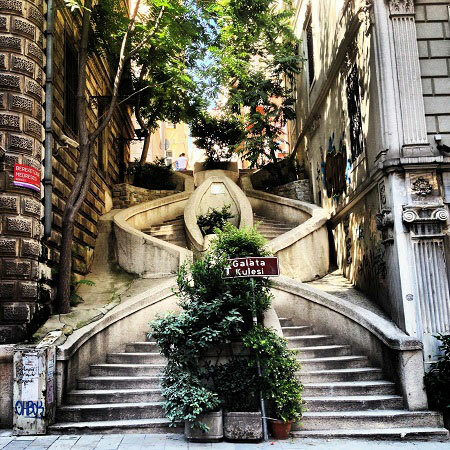 The history of this family as well as the contribution they made to modernise Istanbul as a city are detailed on 10 panels. 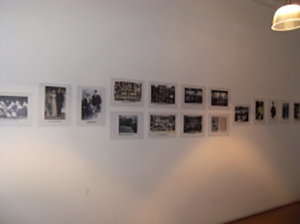 This exhibition remained open until December 2008..
A historical and nostalgic documentary of Edirne which was one of the major cultural capitals of the Ottoman Balkan Jews. Prepared by Seyfi Ishman with advice and guidance from Naim Güleryüz, this documentary was shown to the audience every half an hour from 11am to 5pm on September 2, 2007 - as part of the European Jewish Culture Day. 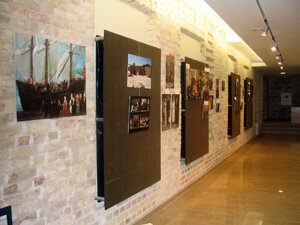 An exhibition ab out Nahman Fingerut, who fled from the Bolshevic Revolution and found sanctuary in Turkey. Later Nahman was given a "Political Refugee" passport, which permitted him to reach the USA. This passport as well as the photos donated to our Museum by his son Melvin Fingerut, attorney in Florida, were exhibited.